If you believed that humans are the only smartest and intelligent race inhabiting the planet earth, then guess what you might be completely wrong. Long gone the days when humans were the only smartest creatures living on the planet earth. Animals are considered man’s best companion but what if they possess almost same intelligence level as you have. Ming boggling isn’t it? Here we present to you the list of some of the smartest animals on earth and go on reading to know if you have the one right before your eyes. Pigeons are considered to be fiendishly advanced regarding what they can recognize. 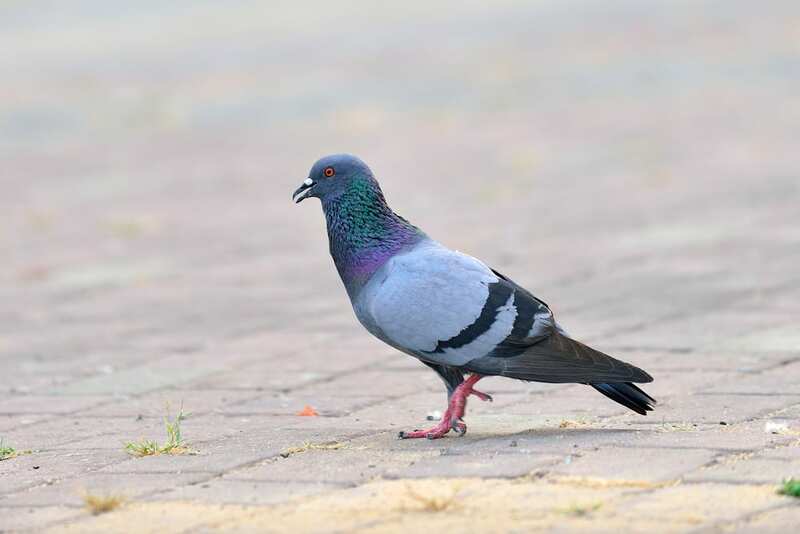 According to a study conducted by the University of Montana, the pigeon is one of the smartest and most physically adept creatures in the animal kingdom. These birds can learn how to count items and can recognize themselves in the mirror. They can recognize all the 26 letters of the English language. They are blessed with the ability to differentiate between two people and can remember a large number of individual images for a very long time. 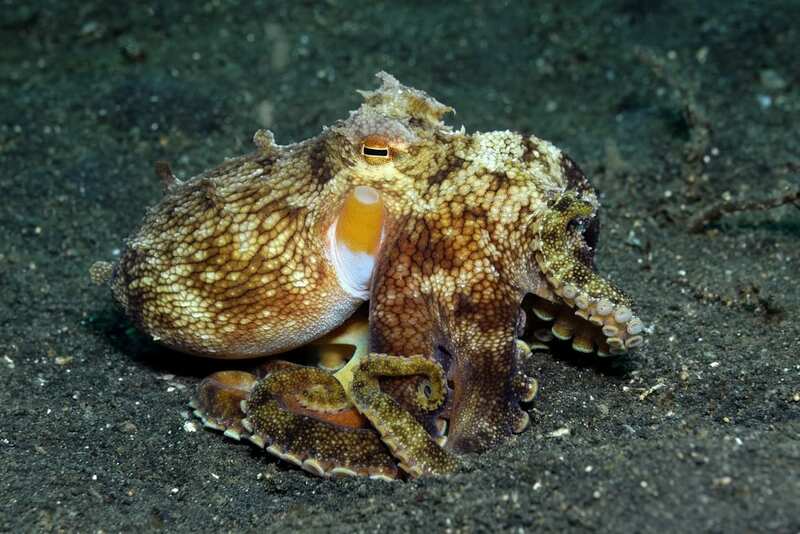 The veined octopus is known for its smartness. Biologists have observed these octopuses excavating coconut half shells from the ocean floor and carrying them to use as portable shelters. This is a sign of learning capacity among the octopuses. They are capable of navigating their way through mazes, solve problems quickly and remember the solutions to their problems for a short term. Scientists have figured out that octopus begins to play in a boring situation and playing is something which is associated with intelligent animals. Their brains are huge in terms of the standards of invertebrates. 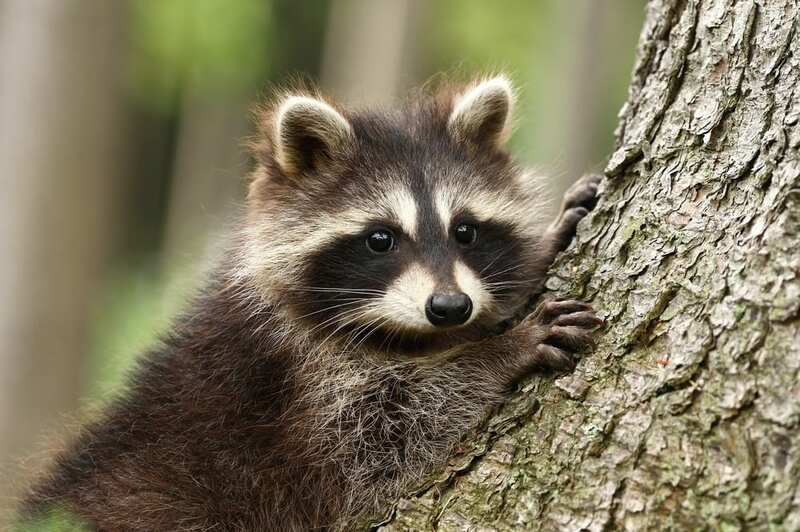 Raccoons are usually solitary animals and amazingly adaptable. They are highly intelligent and said to have a manual dexterity that comes close to that of apes. They are very clever and mischievous. They know many tricks to throw their predators off their trail. They are expert at problem-solving and easily adapt to challenges of life. Raccoons are great at remembering things for a long period when compared to dogs. The ability to open zippers, purses and shoe laces are some of the activities common to raccoons. Squirrels are experts at adapting and capable of living almost anywhere. Abstract thought and memory are two parameters that make squirrels extremely smart creatures. They can learn things by observing and have an excellent memory. 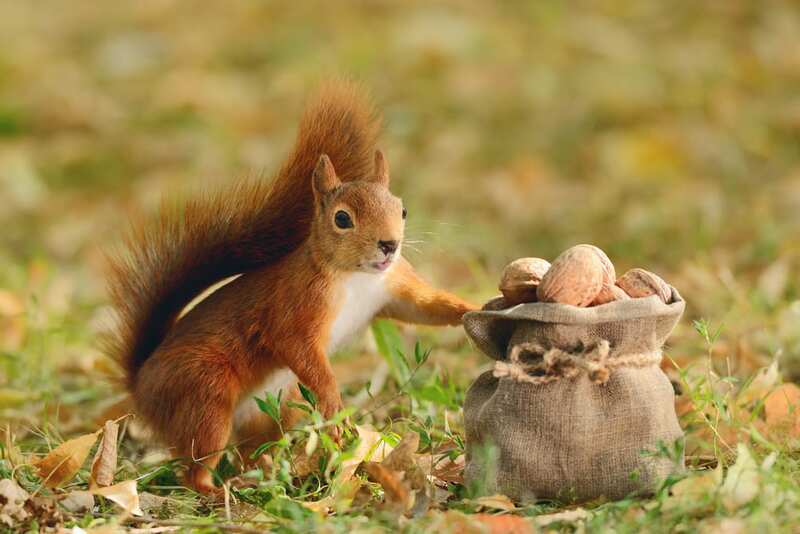 They hide nuts to access them later, a skill which is only possible if their memory is sharp. They practice ‘scatter hoarding’ which means placing single nuts in single holes, which is a sign of strong memory. Squirrels are also capable of memorizing the easiest route up a tree to get back and forth from their nests. 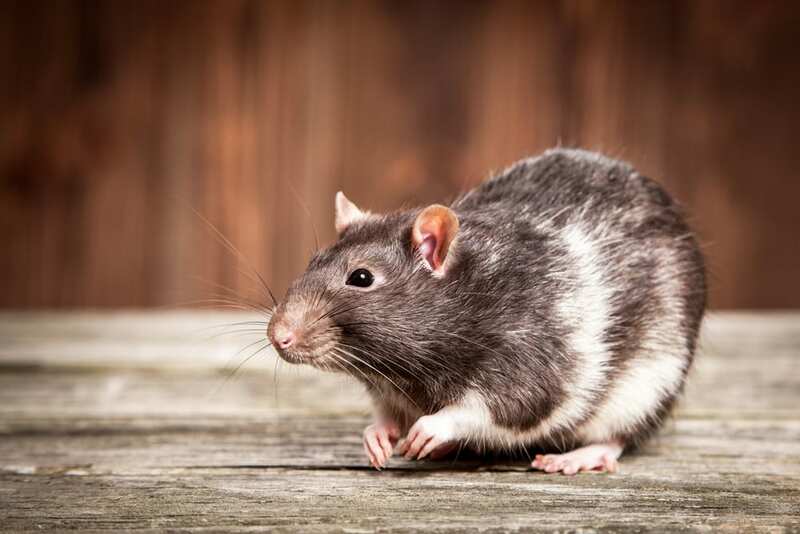 Rats are the smartest of all rodents and are one of those animals who are good at learning and understanding concepts. Just like dogs they are capable of thinking and figuring things out. They are highly social animals who get attached to one another, love their families and share a great bond with humans. A Recent study shows that when rats play or are tickled they tend to make chirping sounds which have a striking similarity to human laughter. Also, they fastidiously clean animals who groom themselves several times in a day. They have a complex system of communication and communicate by touch, smell, and sound. The cognitive ability of pigs is an issue of great debate among the scientists. 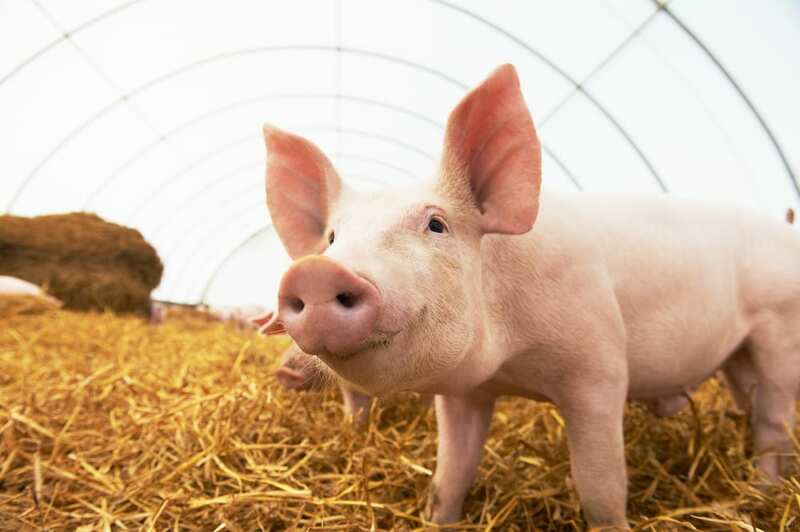 Pigs living in close-knit communities learn a lot from the mistakes and habits of other pigs. Pigs are attentive, investigative, and inquisitive. They remember locations very well and can recognize themselves in the mirrors. They can be socially manipulative with other pigs and can differentiate between the other pigs they know and the strangers. Pigs are also brilliant at remembering where food stores are cached and are the quickest animals to learn a new routine. 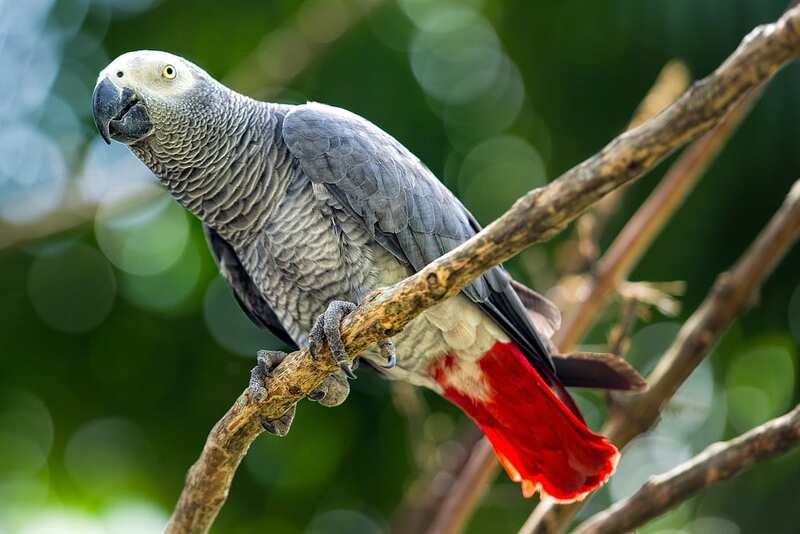 African Grey parrots also known as red-tailed grey parrots or African greys are among the most intelligent of all birds. Their human-like ability to mimic speech and gentle nature makes them stand out from other birds. Not only they can learn an extensive vocabulary but can also learn how to speak in different voices. These birds can be fantastic companions and are very caring and loving. They are capable of abstract, inferential reasoning and have an understanding of causality. Researchers believe that as parrots are not related to primates in any way so their ability to reason probably evolved separately. Crows are among the fascinating and smartest animals in the world. They are capable of understanding cause and effect. 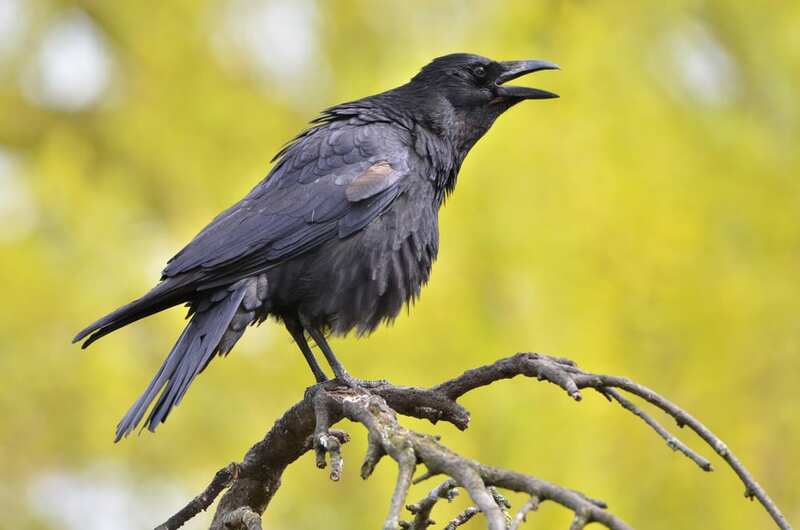 Crows are seen similar to primates with their problem solving and tool-using abilities. They are very clever at problem-solving and are almost intellectual rivals to the brainy apes. They are also the tool makers and craft their tools meticulously. Many researchers believe that the crow’s work is on par with very early human tools such as spears and digging sticks. Some more interesting facts about crows include their capability to remember your face, a sharp memory and a very strong sense of community. Elephants are exceptionally smart creatures with the largest brain that any land animal has. The most interesting part of elephants is that they can identify languages. 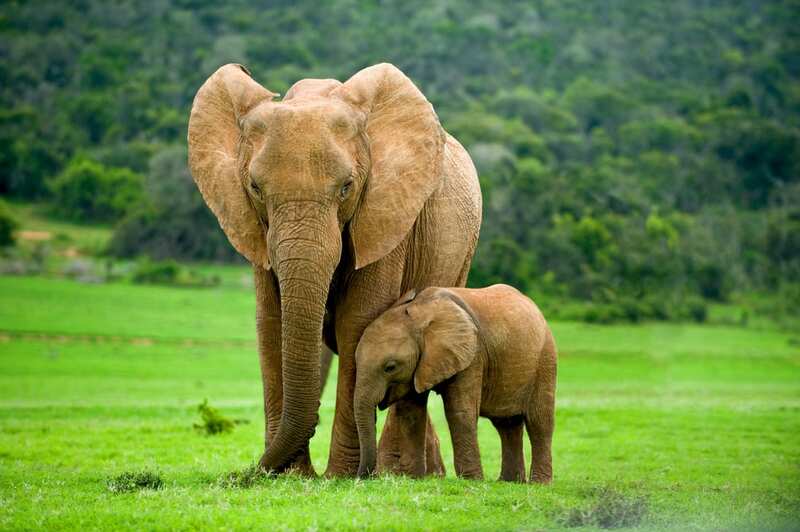 Elephants can distinguish differences in age, gender, and ethnicity simply by hearing someone’s voice. They are great at showing empathy and comfort one another when distressed with the help of physical contact or vocal sounds. They are blessed with the capability to use tools, understand human body language and mimic human voices which make them different from other creatures. Chimpanzees are the third smartest animals alive on earth with their ability to learn sign language. They are able to use the mirrors just like we humans do and try to groom themselves whenever in front of a mirror. The decision making quality makes them appear different from other animals. They seem to wait, observe the situation and surroundings, and then act based on what they have seen and considered. 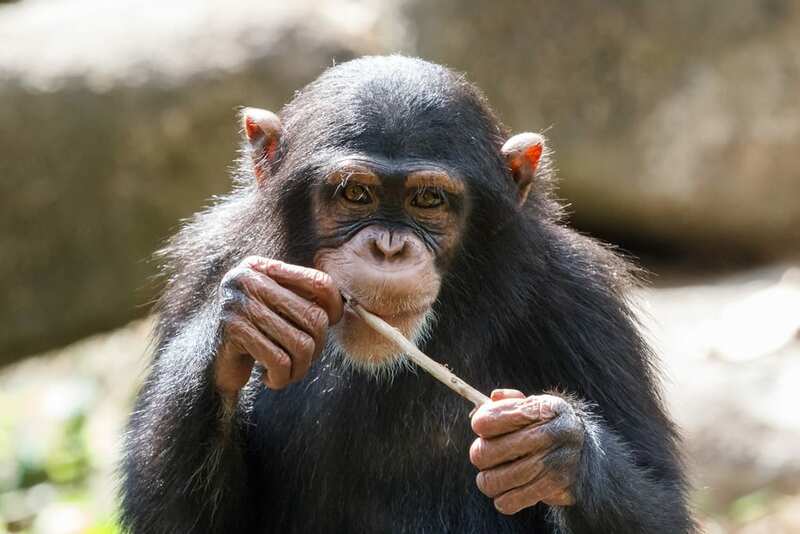 Problem-solving is another skill attributed to the chimpanzees. They are capable of communicating not the same way as humans do but by making noises which indicate their general mood. The bottlenose dolphin is probably the most widely recognized marine mammal easily spotted just offshore from beaches around the world. Scientists have discovered that these bottlenose dolphins are so intelligent that they can be treated as ‘non-human persons’. Their communication is very similar to humans, and their brains have many key features associated with high intelligence. 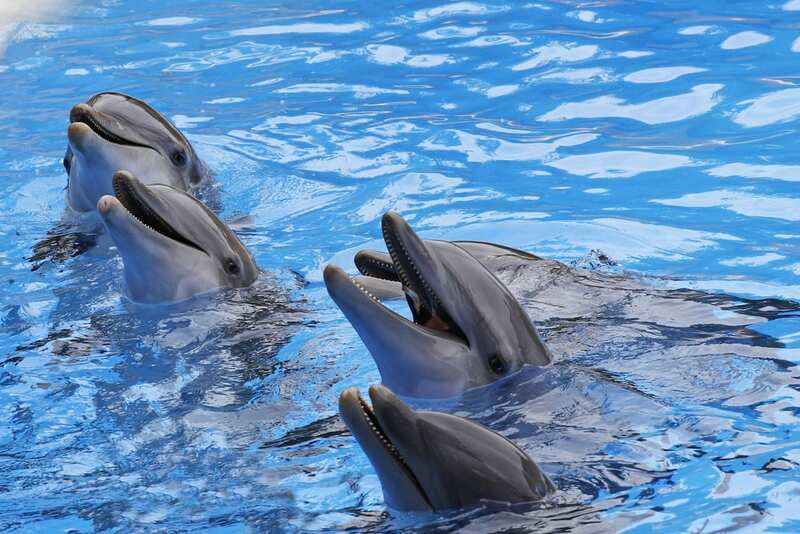 Dolphins have a distinct personality, a strong sense of self and can think about the future. Also, recent studies prove that bottlenose dolphins could recognize themselves in a mirror and use it to inspect various parts of their bodies. 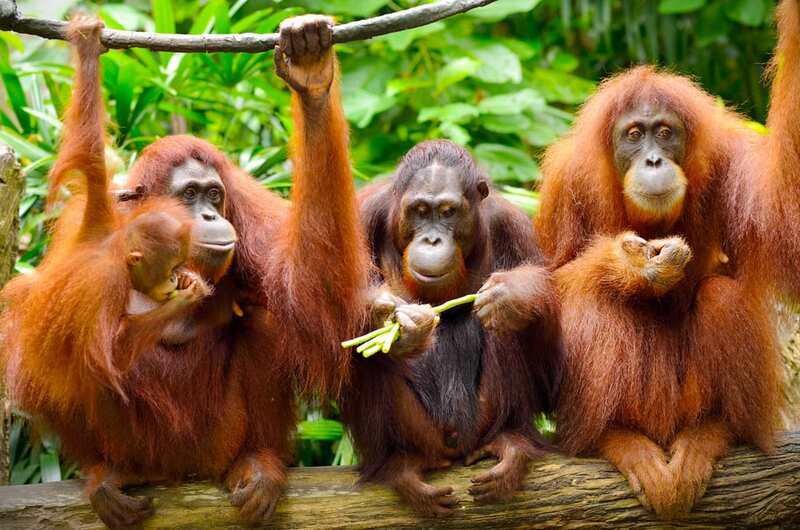 The name orangutan literally translates into English as ‘person of forest’. Orangutans are considered one of the smartest creatures present on earth. They have the ability to reason and think. The display of various emotions like fear, joy, anger, surprise makes them appear just like humans. Apart from all this, they are blessed with insight, imitation, self- awareness and planning. These animals are usually large but gentle creatures. According to Indonesian mythology, orangutans have the ability to speak.